On 17 May, I visited the AGL coal seam gas field near Camden. While filming a drill rig near the Sydney suburb of Glen Alpine, it suddenly exploded and started spewing thick white foam into the air. The substance being ejected gradually became a liquid aerosol and drifted toward Glen Alpine. Given the toxic chemicals used in gas drilling and extraction, I was very concerned about this incident. My concern only grew when I discovered that the Upper Canal that supplies up to 20% of Sydney’s drinking water runs only 100 metres from the gas well. I wrote to the Minister for Environment and asked questions in parliament. AGL have now admitted the incident was an uncontrolled accidental release and have reported it to the Environmental Protection Authority. The government has announced it has initiated a inter-departmental investigation into the leak. Below is information and news story’s related to the gas leak. 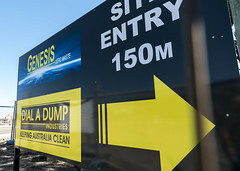 Foaming Campbelltown coal seam gas well leak must be investigated. Mr Buckingham witnessed and filmed the gas well spurt the substance into the air for 15 minutes last week and has written to the Environment Minister asking her to investigate. “I was disturbed to witness an unknown substance spurt into the air from this coal seam gas well and drift toward houses in Glen Alpine,” said Greens MP Jeremy Buckingham. “When we looked at the map later and saw the water supply canal only metres from the foaming well I was even more concerned. “This incident must be thoroughly investigated to ensure the safety of Sydney’s water supply and the health of residents in nearby suburbs. 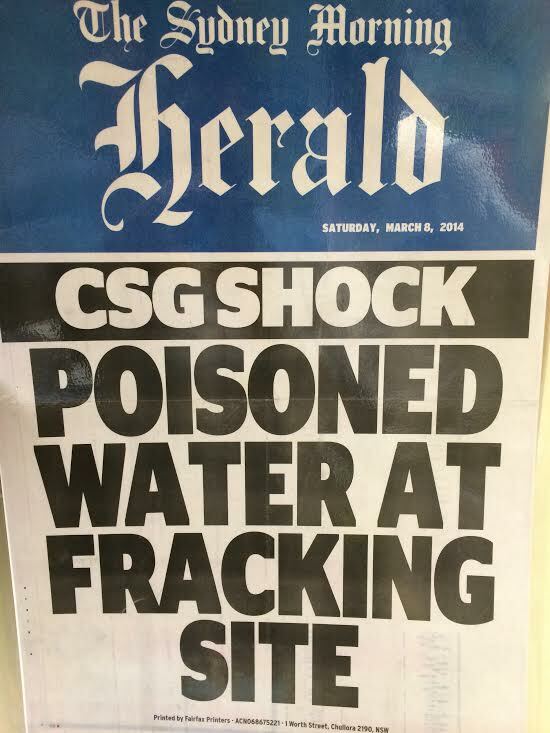 “The reckless coal seam gas industry must be brought under control by the O’Farrell government. 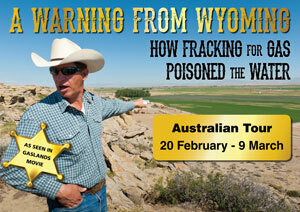 “There are many concerns about the safety, health, land use and environmental effects of the coal seam gas industry. It should not be allowed to expand until these concerns are properly addressed. “The Greens will move a bill in parliament for a 12 month moratorium on coal seam gas, and a prohibition of coal seam gas extraction in the Sydney Metropolitan Area,” he said. The Hon. Duncan Gay: Point of order: The Hon. Jeremy Buckingham is making a statement, not asking a question. The PRESIDENT: Order! Statements of fact, unless they are strictly necessary to render the question intelligible, are out of order. The Hon. Jeremy Buckingham has given a lengthy account of the statements of fact and has not yet reached the nub of his question. I encourage him to do so quickly. If he does not do so, I will rule the question out of order. The Hon. JEREMY BUCKINGHAM: Considering the comments of the Minister’s Federal colleague, Barnaby Joyce, that the The Nationals are “undertaking to investigate the serious concerns that surround issues pertaining to … coal seam gas”, does the Government consider there are serious concerns about this industry? Will the Government support a State level inquiry? The Hon. DUNCAN GAY: This is an important question. Even more importantly, we probably need a leadership group in The Greens. Had they had a leadership group today it would have been the Hon. Jeremy Buckingham because he is wearing a tie. He has the company tie—there is only one between them and Shoey has missed out. The Hon. Cate Faehrmann is not wearing a tie today, so she also missed out. She might have the pants but she does not have the tie. Mr David Shoebridge: You have stolen your tie from the circus and then you come in here and make those sorts of comments. The Hon. DUNCAN GAY: Listen to him. The Hon. Lynda Voltz: Point of order: I refer to relevance. The question was specifically about coal seam gas. The Minister should get back to the question. The PRESIDENT: Order! I call the Hon. Jeremy Buckingham to order for the first time. I remind members that interjections are disorderly at all times. The Hon. DUNCAN GAY: Mr President, I will heed your advice and that of my staff and let the interjections go because I have too much good information. The Government provides a number of attractive incentives to encourage exploration, development and utilisation of the coal seam gas industry in New South Wales to encourage the utilisation of gas drained from operating coalmines, et cetera. As that answer does not refer to the question, as interesting as it is, I will refer the question to the relevant Minister. The PRESIDENT: I call the Hon. Dr Peter Phelps to order for the first time. The Hon. JEREMY BUCKINGHAM: I ask a supplementary question. Given the Minister’s statement and the transitional arrangements, will the Minister guarantee that the operations around Camden and Darkes Forest on the Illawarra Plateau will not have, and have not had, an impact on Sydney’s drinking water supply? The Hon. DUNCAN GAY: I cannot give any guarantees about what happened under the former Government. I guarantee that the question will be referred to the relevant Minister. The Hon. GREG PEARCE: Earlier in question time the Hon. Jeremy Buckingham asked me a question about a coal seam gas foam spill near Camden. I am advised that the recording of AGL emitting foam occurred on 17 May 2011. I am also advised that the Office of Environment and Heritage first became aware of the matter when AGL informed the office by telephone on 19 May. The AGL activity has an existing planning consent and is regulated by an environment protection licence by the Office of Environment and Heritage. I am pleased to advise that an investigation is underway. I am also advised that initial investigation by the regulator has revealed that the activity was associated with well maintenance and the use of a non-hazardous soap. The Office of Environment and Heritage is leading an interagency investigation and is seeking further detail about this aspect of works from AGL. The Hon. JEREMY BUCKINGHAM: My question without notice is directed to the Minister for Finance and Services, and Minister for the Illawarra, representing the Minister for the Environment. I thank the Minister for his answer last week in relation to the Government’s response to the blowout at AGL’s Sugarloaf 3 coal seam gas well near the suburbs of south-western Sydney. Can the Minister advise the House which government departments or agencies are participating in the investigation into the incident, whether independent samples will be taken of the soil and water near the affected site, when the investigation is expected to conclude, and when the findings will be made public? The Hon. GREG PEARCE: I thank the Hon. Jeremy Buckingham for his question. The recording of AGL emitting foam occurred on 17 May 2011, I am advised. I am also advised that the Office of Environment and Heritage first became aware of the matter when AGL informed the Office of Environment and Heritage via telephone on 19 May. I think that is what I said last Friday. Initial investigation by the regulator has revealed that the activity was associated with well maintenance and the use of a non-hazardous soap substance. In terms of concerns regarding pollution of the Sydney Water supply channel I advise the House as follows. The nearest waterway to the well site is located 200 metres away. It is a small dam operated by the Sydney Catchment Authority, but this water supply was empty at the time of the event. AGL has advised that the discharge was limited to the local area. There was no evidence of pooled liquid and the foam rapidly degraded on contact with air. There was no discharge from the well site which impacted waters. This was confirmed by visible inspections by AGL. There are culverts and flutes that protect the water supply channel and prevent any sort of overflow into it. The emission of such foamy water is not regular practice. The objective is always to ensure that all foamy water from well maintenance is contained. A degasser is used during maintenance operations. This is designed to relieve any pressure from coal seam gas and safely vent that gas to atmosphere and direct any water to a holding tank. I am advised that the time the pressure of the foamy water exceeded the capacity of the degasser, resulting in a visible water release of short duration. This occurred as a safety precaution for workers. Obviously it would not be a good situation if the pressure were to build up causing an explosion or similar event. The Office of Environment and Heritage is leading an interagency investigation, together with the Sydney Catchment Authority and the Department of Planning and Infrastructure. The purpose of this investigation is to obtain more detailed information from the company on the nature, frequency and impacts of the practice and measures in place to protect the environment. A site inspection is being conducted by the Office of Environment and Heritage and the Sydney Catchment Authority on Wednesday 1 June 2011, in consultation with AGL. The Office of Environment and Heritage will provide information on the outcome of this investigation as soon as possible thereafter.